Over the last ten years, the smartphone boom has put a camera in everybody’s hands and more recently put very good video shooting capabilities in those same hands. The result has been an explosion of content where one could argue everyone thinks they are a star or can make a memorable piece of content. Smartphones with cameras have also brought a boom in documentary filmmaking. If you have a subject you want to discuss in-depth, your phone now provides an instant avenue to creation. No matter your niche, whether its dresses of the 18th century, an in-depth look at matched betting calculator technology, or classic movies, you can now get filming with few restrictions. 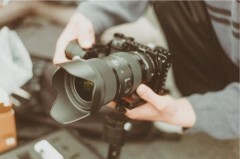 However, just a quick browse through YouTube will show you that most people miss the basics of documentary filmmaking. Many documentary creators (especially at amateur level) ignore some fundamentals of the medium. Below we will discuss some of the most frequent mistakes documentary creators make. Ok, that’s a flippant title as any subject is “worth” something to someone, even if it is a small demographic. While it is important to follow your passion and seek to bring attention to it in front of a wider audience, choosing a subject matter of importance is a good first step. Sure, some great films have been made about subjects that seem mundane, but in general you have to strive to add something new to a debate. It is worth remembering many topics that are controversial or vital to daily life have already been covered many times. Seek something new or deliver in a different way. You have your subject, but your plan of action is a mess. Creating a documentary that is clear in its objectives is important, and a theme can help to deliver your goals. Do you want to advocate something or denounce it? Either way, sticking to a theme will help you drive your opinion. Of course, sometimes you might be looking for a middle ground, which is where questions are vital. You may have an opinion, but it is not definitive. Be prepared to question your findings and information. You don’t need to be Martin Scorsese to film a world-class documentary, but you should have some of the basics of film on tap. This may be as simple as understanding aspects of lighting, camera angles, and sound management. Documentary filmmakers are now using smartphones to film their projects, so understanding some of the fundamentals of film creation can really help. Check out local courses, which are often free, on how to do the basics of filmmaking and take your documentary’s quality up a notch. To get a true understanding of the art, the London International Documentary Festival explores filmmaking and showcases some of the best documentaries. Documentaries at the festival show how filmmakers inspire people through asking questions, tackling tough issues, and portraying a clear vision of storytelling. Whether light-hearted or touching on the social-political issues of the day, documentations at LIDF can help the budding filmmaker learn and take their own projects to the next level.